We are listed at the apex in the list of the preeminent Stone Crusher Vibrating Screen Exporters from India. The unmatched quality and unsurpassable performance of the Stone Crusher Steel Screen has attracted various national as well as international clients to place bulk orders. 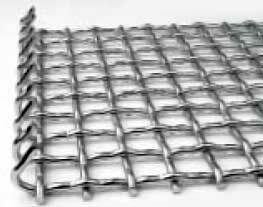 Moreover, Stone Crusher Screen offered by us complies with the norms set by well-reputed authorities.